Independent grocers say that it takes perseverance to battle the giants as well as going above and beyond when it comes to service and offering unique products at competitive prices. The store owners know they have to set themselves apart to compete in the new retail landscape. Independent grocery stores are a staple in many communities and are often on the lookout for new and creative products that can expand their offerings and set them apart from other stores in the area. If you have a product that you think our private purchasing group would be interested in, we would love to hear from you. An independent beauty salon is a retail location not affiliated with any brand of salons. Independent salons are usually owned by a beautician who either rent the space to other stylists or beauticians or have employees working there at their salon. The typical salon has a retail section selling a variety of beauty related skin and hair care products. An independent pharmacy is a retail pharmacy not affiliated with any chain of pharmacies. Independent pharmacies are usually owned by a pharmacist who generally has high standards of customer service and strives to outperform chain pharmacy competitors. They include single-store operations, pharmacist-owned multiple store locations, franchise, compounding, long term-care (LTC), specialty, and supermarket pharmacy operation. Independent car washes are scattered throughout every small town in America. Each car wash is run differently, however they all have retail sections selling car accessories, snacks, beverages and all forms of novelties. These independent retailers are always looking for the next grab and go product to move quickly off their shelves. An independent beauty spa or day spa is a quick retreat from the real world’s stress. These independent retail & service locations not only provide services such as facials, massage and manicures, they also have small retail sections selling high end beauty, hair and skin product lines. Independent pet stores are thriving as pet ownership rises, and dog and cats increasingly are seen as family members. These independent retailers have survived the expansion of big-box brands PetSmart and Petco as well as other places to buy pet products, such as supermarkets and online vendors. The reason these smaller chains are really successful because they really get to know their customers. Skin care centers are growing quickly in popularity across the country as more people find the effects of modern stress and urban life is showing on their skin. These centers specialize in treatments such as botox, hair removal and several non-invasive skin treatments. If a product is a good fit for these retailers they will often show those products in their waiting room or educate the patient on the product in person before or after their treatment. Independent sporting good stores, hunting stores, fishing stores and alike are cornerstones of many communities because they provide the one thing that large retailers such as Dicks Sporting Goods or Authority Sporting Goods can not… Expertise. These stores bring experts who love their sport in touch with novice athletes and hobbyists as well as those professionals who need the best of the best equipment. Independent toy and gift retailers are alive and well across the country. Typically they are niched as a certain type of toy or gift retailer whether that be remote control toys or gifts for new mothers. These independent toy and gift retailers are always on the search for a new product that can give them the edge over the larger big box retailers. Whether you’re looking for unique fashion accessories, practical basics or avant-garde indie labels, shopping in independent fashion boutiques and gift stores never disappoints—if you know where to go. These independent boutiques are the place to score designer discounts, accessories, vintage fashion and anything else you might need to satisfy your consumerist lust. From posh boutiques in Soho to thrift stores in Santa Barbara to record stores in Miami, you’ll always find something new when visiting one of these independently owned retailers! Gift and card stores are the go-to place when you need a gift for a special occasion. They offer products that you can’t find in any of the large big box retailers or corner pharmacy stores. Sometimes referred to as stationary stores, these retailers know their customers well and are open to learning about new products that will keep them relevant. Sales of weight loss products, weight loss/gain meal supplements, sports supplements, convenience foods, nutrition bars and sports/energy beverages have all been rising steadily over the past ten years. With growing concern over healthcare costs as well as trends toward anti-aging and life extension, sports nutrition products have become a more natural and more affordable alternative to prescription drugs. New government figures show about half of U.S. adults take vitamins and other dietary supplements — a level that’s been holding steady for the past decade. 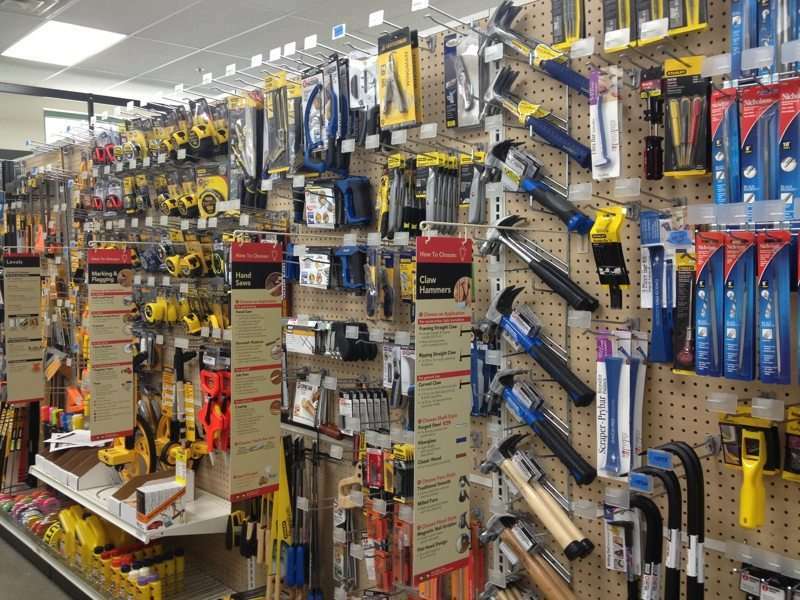 Independent hardware stores are privately owned and operated retailers that sell a variety of goods, including tools, cutlery, housewares, paint, appliances, and building materials. These cornerstones of their community were able to survive giants like Lowes and Home Depot moving into their town because they offer the one thing that the larger retailers lack… Customer Service. These independent retail owners often take a few extra minutes to explain why going with a better solution costs more upfront but will save you money and aggravation in the next 10 years.